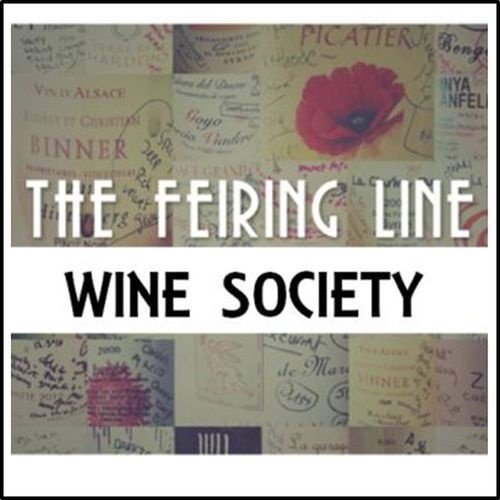 Treat yourself to a monthly surprise at your doorstep - become a a member of The Feiring Line Wine Society. This is actually what is known as a wine club, but I really don't want to be clubby about it. You can trust that the wines are all my totally subjective selections and driven by taste, not by marketing or margin. Every month you’ll get 2 to 4 bottles (and very occasionally one extremely special bottle) of what I consider winey adventures. Maybe you’ll love them all, maybe you won’t, but the thing here is that I am only selling you wines I love, ones that I choose. For the most part these are wines that are limited edition, hard to find and not in most markets. This is a monthly membership to the Feiring Line Wine Society. You'll be billed each month until you tell us to stop... but why would you want to do that? Relevant shipping charges* will be added after check out and we'll contact you to confirm your start month and delivery details. When you check out, no matter what shipping option you'll need, click IN-STORE PICK-UP as your delivery option. We'll contact you to confirm how you really want to handle delivery and will bill you accordingly. NOTE: If you would like to subscribe to the Feiring Line Newsletter (and we think you should! ), you can do that here. You are buying a monthly subscription to The Feiring Line Wine Society. We will contact you to confirm the month in which your club shipments will begin. Going forward, you will automatically be billed around the 5th of each month, $75 + any shipping* and taxes. If you would like to cancel your membership (but why would you want to do that?) just let us know by the 1st of the month. The wines are generally ready for shipment or pick up mid-month and there are no substitutions... what Alice wants is what you get. 3 -and 6 -month options are also available with upfront billing for the full membership term. Any questions, send an email to christy.frank@copakewineworks.com and we’ll sort you out. Free in-store pick up. Free delivery below Canal Street. $10 in Manhattan or Brooklyn. $15 anywhere else we can ship. Consolidated shipping is available at $5 for each additional month of wines sent. (e.g. if you ship three months worth of wine clubs to California at one time, you will be charged $15 + $5 + $5 = $25.) If the weather is too hot or too cold to ship, we will let you know and will automatically begin to consolidate.